While the tweet mentioned by Autoblog Green [H/T Jalopnik] focused on the New Jersey Motor Vehicle Commission’s decision to block the company from implementing its direct sales model in the state, it’s all in good fun between competitors on social, right? Maybe not. Nissan immediately deleted the image and blamed it on its social media agency. Pic after the jump. The “them” in that quote is the brand’s unnamed agency—and as in the recent Home Depot “is it racist?” story, we have to wonder how someone designed, planned and scheduled this message and accompanying pic without approval from higher-ups. And was it really so bad? 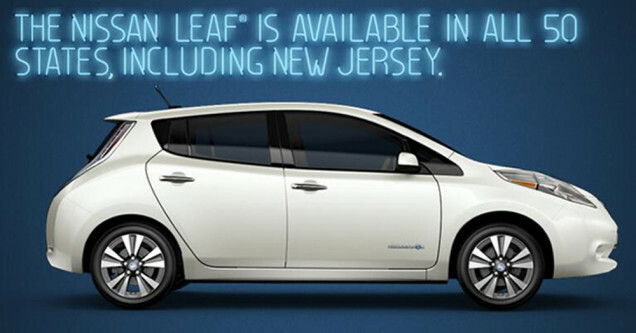 We have to agree with blogger Domenick Yoney, who writes that it’s far more amusing than anything else coming from the Nissan Leaf Twitter feed.